The objective of Chiropractic is to restore, maintain and improve health and wellbeing. The chiropractic profession is the only health service provider group with spinal adjustment as its core education and practice. A Chiropractic adjustment is the skill of using a specific force in a precise direction, applied to a joint that is fixated, “locked up”, or not moving properly. This adds motion to the joint, helping it regain a more normalised movement pattern and improved function. 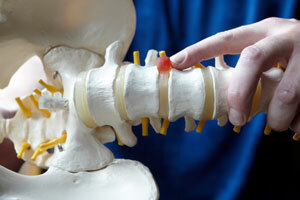 There are many different ways chiropractors adjust the spine and body. Some adjusting methods are quick, whereas others require a slow, constant or indirect pressure. Usually the adjustment is delivered by the Chiropractor’s hands or sometimes a specially designed instrument delivers a brief and highly-accurate thrust. After receiving 5 years of university training in how and when to deliver an adjustment, multiple post-graduate course attendance, and numerous years of clinical experience, our chiropractors at Impulse Chiropractic have become qualified in a number of these techniques. Sometimes, only one area of the spine is adjusted, and other times the entire body may require attention. Interestingly, adjusting of the joints works directly by stimulating the control centres of your spinal cord and nervous system, helping them do their job better. In most cases people report having an adjustment as a relaxing experience, and whatever technique chosen, your Chiropractor uses skill, not force or strength, to conduct an adjustment. Chiropractors are trained to care for people across the lifespan, and naturally we modify all care and treatment modalities to suit the age, presentation and development of the patient.